Controlling the accuracy and precision of line in pencil or paint is an essential part of botanical art.To describe the delicate features of a plant we must learn to control the lines. 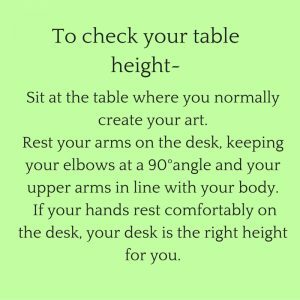 It may sound obvious, but make sure that the table where you create your art is the right height for you. If your table is too high or too low, adjust your seat, use a drawing board, or try standing at an easel. An uncomfortable position leads to uncomfortable lines. Place the subject where you can see it clearly. I place mine as near to the painting as possible, sometimes on the painting. A goose-neck phone holder can hold a floral tube in the perfect position for painting. When faced with a blank sheet of paper, some artists freeze in fear. It’s that dreaded moment when they have to commit. They want to do it, but all of a sudden, they would rather be anywhere else. This ‘fear of failure’ affects the fluidity of the lines. The drawing becomes stiff and awkward. Broken unsteady lines whisper tales of uncertainty and lost confidence. Life Drawing students spend time doing quick gesture drawings before working on a more complete study of the figure. These gesture drawings are done rapidly, with the artist spending no more than a few minutes on each pose. To improve the fluidity of line within a botanical painting, we should also take time to establish the movement within the plant with a series of loose gesture drawings. In other words, you have permission to scribble! Start with several sheets of computer paper, or the cheapest paper that you have. These drawings are not ‘keepers’ and no one is judging you. The gesture line is usually the longest line within your drawing, for example from the tip of the leaf, through the midrib, the stem and following through to the branch. You are looking for the fluid lines that lead the eye. Begin with curving lines and simple geometric shapes. Keep your pencil on the page, allowing the forms to cross over each other. Do NOT erase your lines… it doesn’t matter if the lines are wrong. Take two minutes and start another sheet. 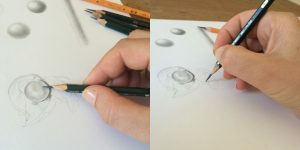 Drawing is a learned skill and develops with regular practice. A sketchbook is where you can practice and play, explore ideas and slowly develop your skills. I learned how to draw and paint by keeping a sketchbook. The best thing about a sketchbook is that it is your own personal space. You can choose to share your progress, or simply close the cover and make it your own private journey. Not every page will be perfect, but that’s okay- it’s a sketchbook, not a work of art! If the paper is too thin for painting in your sketchbook, add some watercolour paper to your sketchbook. Not in the mood for drawing or painting? You can stick in colour charts, notes, poetry and even dried leaves and flowers to your sketchbook. Half-finished sketch? Add a small colour chart to the page and it immediately looks better. Not All Pencils Are Equal. Lines vary in quality, character and personality, depending on the grade and brand of pencil used. You will notice that you get a lighter finer line with a H pencil than with a B pencil. This is due to the hardness of the pencil. Hard pencils (H pencils) retain their points for longer and are not liable to smudge or smear. Soft pencils (B pencils) are great for darker tones, but can smudge easily. They are not always easy to erase as the soft graphite gets pushed into the tooth of the paper. I draw most of my botanical paintings in a 2H pencil- it is dark enough for me to see what I have done, but light enough for me to erase easily. Please see Part 1 of your Assignment for this module. To get clean crisp lines, you need to keep your pencils long and sharp. Mechanical pencils can be good, but I prefer traditional pencils. 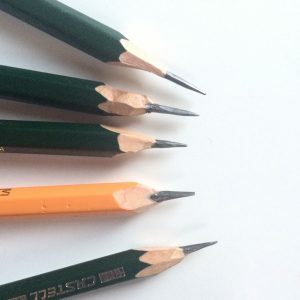 To sharpen your pencil, take a craft knife and gently cut away the wood to expose a long pencil lead. Then take an emery board (nail file) and gently file the pencil to a sharp point, rotating the pencil as you go. 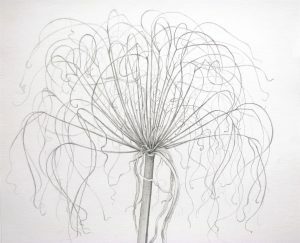 The reason for using a long lead is that you are more inclined to use the pencil delicately, a necessity in botanical art. Press too hard and the lead will break. The sharpened point will give fine lines and allow you to draw tiny details. For shading and tonal work, hold the pencil so that the broad end of the lead has more contact with the page. Synthetic or sable? It doesn’t really matter. What is important in botanical painting is the tip of the brush, which should come to a very fine point. I use both sables and synthetics, although sables tend to hold their shape for a lot longer than synthetic brushes. The brushes that I use in botanical art range from size 0, 2, 3, 4 and 6. Small brushes are great for painting tiny details, but they simply do not carry enough paint to cover larger areas. Learning how to paint very fine lines with a large brush is a necessity, as it will give you the flexibility for painting both washes and fine details. 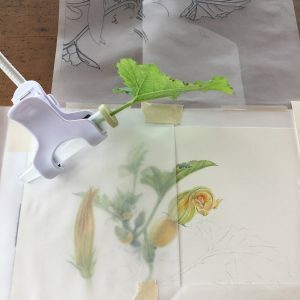 You need to master drawing fine lines with a paintbrush to be able to paint things like the veins on leaves, delicate stamens, markings on a petal and serrations along a leaf edge. The trick is in controlling the water content of the brush. Too wet and you cannot paint a fine line, too dry and the line will not be fluid or even. To control the wetness of the brush, take a scrap of watercolour paper and place it to the side of your palette. I call this piece of paper a ‘squiggle sheet’. Whenever you load your brush with paint from the palette, wipe it first onto the ‘squiggle sheet’ to remove the excess wetness from the brush. This also helps you to pull the hairs of the brush into shape, and helps you check both the colour and saturation of your wash.
Rose leaves are full of fine lines- I begin by drawing the lines of the serrations and leaf veins with my paintbrush. 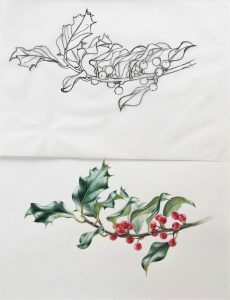 Tracing paper is a botanical artist’s friend. Not only is it smooth and easy to draw on, but it also helps refine lines and plan compositions. It saves watercolour paper from the wear and tear of drawing and erasing lines. Lines can be traced and retraced over and over again, until the curve and balance is perfected. 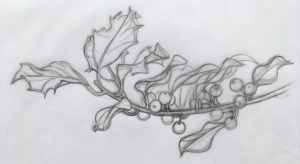 If you hold your wrist and hand still and allow the ‘drawing movement’ to come from your elbow, the lines have wider sweeping strokes- perfect for capturing the gestural lines of long leaves and stems. Allowing the ‘drawing movement’ to come from your wrist whilst holding your fingers still, will give you smooth curving lines. With very fine details, keep your arm and wrist still and allow the ‘drawing movement’ comes from the fingers. Pull don’t push the pencil or paintbrush. When drawing stems or vertical lines, pull the pencil towards you. Pushing up the page can lead to wobbles. Look where you’re going. Put your pencil on the page. Pause. Look at the point where you want your pencil to go and then start to draw. Practice ‘air drawing’ . Practice drawing the line in the air without touching the paper first so that you get the right movement. Turn the page around. Turning the page around as you draw can help find and define the line. Look, draw and the turn the page around to correct any awkward lines. Flipping an image either digitally or by just looking at it in a mirror can help you see any awkward lines. You can also flip an image by tracing the lines and then looking at the reverse of the tracing paper. Practice drawing lines in your sketchbook or on a sheet of paper. This can be done anywhere and at any time, even doodling on the back of an envelope whilst on the phone. 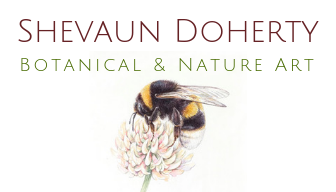 Size matters in botanical art! 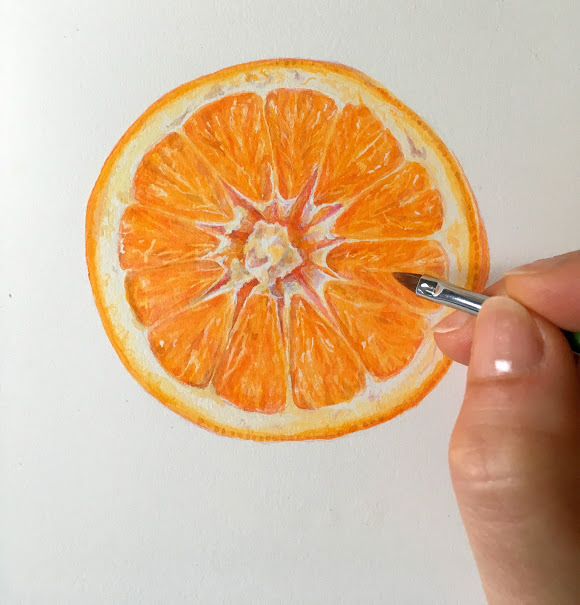 You are providing a visual description of the plant, and even if you are depicting your plant larger (or smaller) than life, everything has to be proportionally correct. 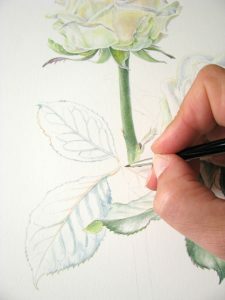 Although there is a growing trend today for oversize botanical paintings, it is better to hone your skills by drawing life-size, simply because it develops better hand-eye co-ordination. When I draw something now, I find that the measurements are pretty accurate, simply because I have developed the skill of drawing from life. Plants move all the time, so to get accurate drawings of the plant, it can be useful to begin by drawing a measured box. Measure your subject, e.g. a flower, with either a ruler or a digital caliper. Remember to hold your measuring tool upright and not tilted away from you as this can distorts the measurements. Looking at the tallest and widest parts of the flower, measure the height and width, and draw a box on the page with these measurements. Your flower should fit into this box. 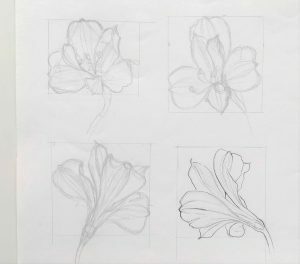 Drawing a foreshortened leaf or flower may seem daunting but is easier when you use a box to contain the shape. Remember also that lines coming towards you are darker and heavier, whilst lines moving away from you become finer and lighter. When drawing leaves that bend and turn away or towards you, always check that the midrib is a continuous line. Midribs provide the stability for the leaf and usually have a gentle curve rather than a sharp bend. Sometimes the best way to draw something that you can’t see, e.g. the line of a leaf as it bends away from you, is to draw the line as if it is there, and then erase the parts that you don’t need afterwards. Adjusting the “weight of the line” creates a sense of perspective. Put very simply, heavy dark lines suggest that something is close to the viewer, whilst lighter lines suggest recession. Composition allows the artist to express their personal style. How you arrange things on a page is very much a statement of your interests and tastes. Line is a crucial element of composition, as line leads the eye to both the focus of interest and around the page. 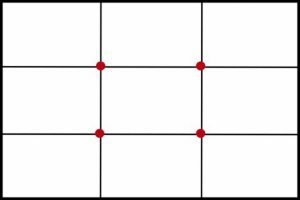 If you divide the page vertically and horizontally into three equal parts, the point at which the lines intersect are called the Sweet Points. These Sweet Points are the best places in which to place your subject in order to create a pleasing composition. You don’t need to draw out these lines, but it’s good to keep them in your mind when planning out a composition. Our mind tends to divide the page if we use an even number of subjects, so it is better in most cases to use an odd number. It is important to get balance on your page. One of the ways to do this is to look at the white spaces on the page, which are the shapes around your subject. It is important to get the balance of those white spaces right. One of the biggest mistakes in botanical composition is to leave an area of white space right in the middle of the page. This creates a ‘hole’ in the composition. The veins of a leaf carry nutrients and water around the leaf and form definite patterns, looping back when they get to the edge. These venation patterns are a botanical feature of the plant and must be shown. Drawing veins is one of the biggest challenges for those learning botanical art. However if you draw the shapes between the veins rather than concentrating on drawing the veins, the angle and shape of the veins will be more accurate. A line is a shared edge. When drawing a midrib, you always need to draw it as two separate lines that taper to a point, even if it is very thin. 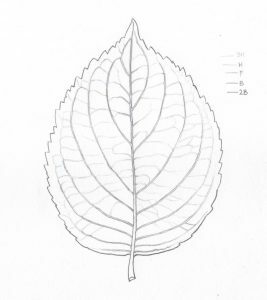 It’s important to draw it as two lines because when you go to paint the leaf, you often leave the midrib unpainted until last as it’s usually a lot paler than the leaf blade. 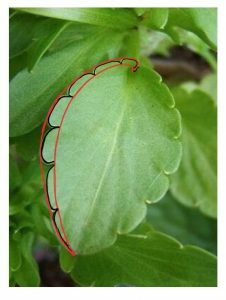 The margins along the edge of the leaves are also botanical features that need to be described. When drawing a serrated edge, it can help to draw two lines and to use those as a guide for the inner and outer points of the serration. The stigma of the flower will always align with the stem of the flower. Establish that line first and then draw the flower around that line. The shape of the stem is a diagnostic feature of the plant. To correctly describe your plant, it helps to show the cut end of the stem. This can also add to the three dimensional aspect of your work. In the next part of this Module, you will find EXERCISES to help you practice all these drawing tips.